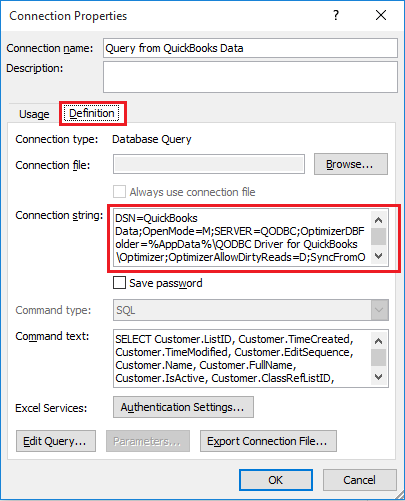 I have changed setting in QODBC Setup Screen from Open mode to same as company file but my Excel still does not takes the changes and needs company file to be in multi-user mode. MS Excel is storing connection string & due to this, you are facing this error. You need to update connection string in Excel to solve this issue. 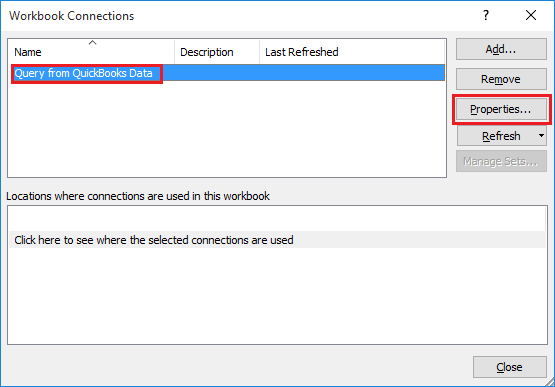 Please open MS Excel file go to "Data" tab >> Click on "Connection"
Now select connection & Click on "Properties"
Navigate to Definition tab & You will find Connection String box. You will notice that connection string contains OpenMode=M; which will try to open the company file Multiuser mode. You need to change OpenMode=M; to OpenMode=F; in connection string box & click "OK". 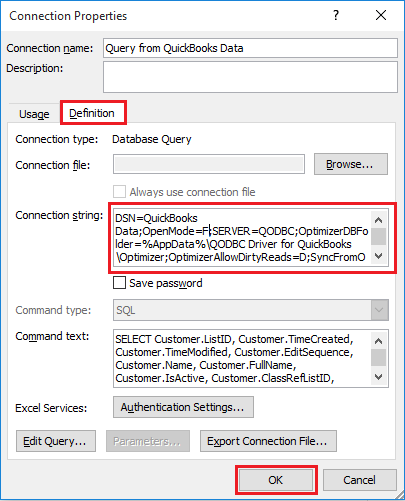 By changing it to OpenMode=F; Excel connection will follow company file mode whatever selected in QuickBooks.